Asian governments seem set on opposing harm reduction, with widespread raids on Malaysian vape shops and the arrest of two Israeli tourists in Thailand making the headlines. There has also been fresh media excitement over a study that claims to show vaping causes cancer, but the science behind it was immediately condemned by a major cancer charity. In a bit of dark humor from the world of research, a recent study out of University of North Carolina reported that half of American smokers believe very low nicotine cigarettes are less likely to cause cancer than regular cigarettes. The survey, conducted in 2015 and 2016, also found that a quarter of smokers said they would be less likely to quit smoking if such cigarettes were available. Forcing cigarette manufacturers to remove the nicotine from cigarettes is a favorite dream of one faction of tobacco controllers, and has become the leading declared intention of FDA in their tobacco policy. It is supposed to make people smokers want to quit. 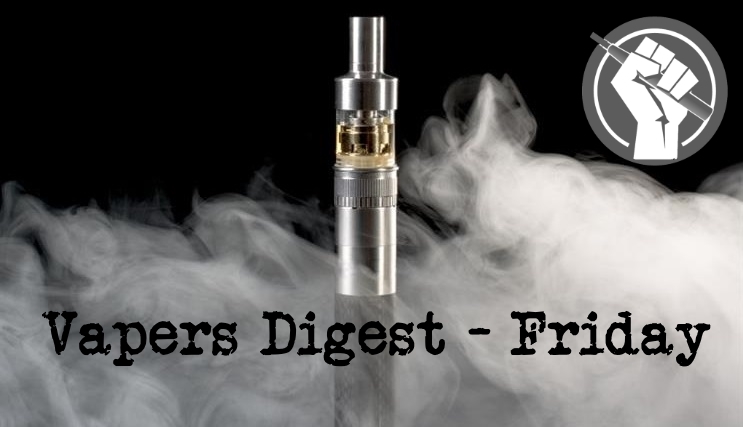 2016 seems so long ago; vapers were fighting the imposition of the Tobacco Products Directive (TPD), David Cameron agreed to a vote about leaving the European Union and the two blended in the minds of many. Now the vote has decided which direction the home nations are heading in, the UK Vaping Industry Association is hopeful that the future is looking good for ecigs. A BID to legalise nicotine in e-cigarettes has won over a Wodonga dad who thought he would die from smoking before switching to vaping seven months ago. Andrew Parkin signed a petition in Albury on Thursday urging politicians to legalise nicotine vaping in Australia. “I tried hypnosis, I tried the acupuncture, I tried the cold turkey and the vaping was what got me off the smokes,” Mr Parkin said. Recently the National Academies of Sciences, Engineering and Medicine weighed in on the question of whether e-cigarettes are a public health menace or a public health boon. The answer is yes, according to a NASEM report published on Jan. 23. The report, which was sponsored by the Food and Drug Administration, concludes that “e-cigarettes cannot be simply categorized as either beneficial or harmful to health.” While that is true in principle, the report gives too much weight to scenarios in which these products could be harmful, even while confirming that they dramatically reduce exposure to toxins and carcinogens for smokers who switch to them. A survey of New Zealand vapers has found most people started smoking e-cigarettes to quit smoking – and for the majority, it worked. The online survey, led by Dr Penny Truman from Massey University in 2016, recruited 218 people through vaping and smoking-cessation networks. One of first things I did was to attempt to identify the various elements responsible for the pleasure I enjoyed when smoking. The total ban on owning, possessing and using e-cigarettes took effect in Singapore on Feb 1. The action stands in contrast to credible, published scientific evidence, which continues to accumulate, that e-cigarettes – those which vapourise man-made e-liquids, but not tobacco, and heat not burn products, which heat tobacco without burning it – are 95 per cent safer than cigarettes. The unequivocal statement from the Armed Forces Medical Examiner on Thursday comes after the Army Public Health Center retracted a report that two Marines had died as a result of seizures induced by vaping. A spokeswoman from the Medical Examiner System told Military Times no military personnel have been reported dead from vaping synthetic cannabinoid oils. The Global Electronic Cigarette Market is expected to garner $26,839 million by 2023, from $8,610 million in 2016, registering a CAGR of 17.4% from 2017 to 2023. An electronic cigarette is a device comprising a battery, an atomizer, and an inhaler, which provides similar experience of tobacco smoking without inhalation of smoke. Altria Group Inc. Chief Executive Officer Marty Barrington is stepping down this year, tasking his top deputy with steering the Marlboro maker through one of the most difficult transitions in tobacco-industry history. Barrington, who turns 65 this year, will retire in May after six years as chairman and CEO, Altria said on Thursday. Howard Willard, a 54-year-old who currently serves as chief operating officer, will then take the helm. Lake County is the sixth county in the state to ban the use of electronic cigarettes in public places. It is now unlawful to smoke e-cigarettes in a place of work or an enclosed public space or within 25 feet of such a building. The city of Lafayette is working to ban electronic cigarettes in locations where smoking is currently not allowed. On Monday, the city council will vote on an amendment doing just that. It adds e-cigarettes to the current smoking ban ordinance. Some are trying to colour the debate over harm reduction with lies and exaggeration, some are misrepresenting research findings – and the Liverpool Echo is going out of its way to look stupid. In the face of this negative backing track Science Daily promotes the difference between smoking and vaping, while MPs are being urged to relax vape laws – because it’s the sensible thing to do. The TGA decision is a devastating blow to Australia’s 2.8 million smokers who have been denied access to a much safer alternative to smoking. The TGA has ignored the huge public health benefits of e-cigarettes in reducing smoking-related death and disease and has instead focused on potential but unproven risks. WHEN I quit smoking last year, I got a message from Associate Professor Colin Mendelsohn from the School of Public Health at the University of NSW.